There are different regulations pertaining to different countries. Most visitors do not require a visa to enter Malaysia if the period is less than 1 month and the purpose of the visit is business or social. To enter Malaysia, visitors must have a national passport or other internationally recognized travel documents with a validity period of at least six months beyond the length of stay in Malaysia. All passports and travel documents must be endorsed for travelling in Malaysia. Please check with your local Malaysian Embassy for regulations pertaining to your country. 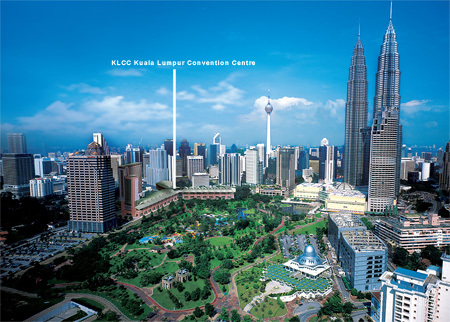 There are several 4 and 5 star hotel nearby the KLCC such as Grand Hyatt, Mandarin Oriental, Impiana or Traders Hotel.